One of the hardest parts about eating a low carb diet is finding alternatives that will satisfy your carb cravings without derailing your diet. It is often a hard adjustment to drop your carb level down and increase your protein. Sometimes protein just doesn’t satisfy you the way some carbs would. Perhaps that is why carbs are so addicting! One of the main ways that I keep myself on a low carb diet is by making small adjustments to ensure that I can incorporate in to my diet the flavors and foods that I enjoy the most. Some of these are no-brainers, but still important to point out. Leave room for fruits in your total carb count for the day. Fruits have so many healthy benefits but also can satisfy your sweet tooth! There are times when nothing will satisfy me like some fresh fruit. One reason I love taking a cruise vacation as I find they have fresh fruit available all the time and it all taste so amazing to me! I have to admit, I love potatoes. It was one of the things I most craved when I switched over to a low carb diet. I did some research and found that out of all the potato types out there, red potatoes had the lowest carb count. So much so, that it made it a reality to include them in my low carb diet every once in awhile. I utilize red potatoes in my diet for breakfast, they are wonderful mashed, and also make a great potato salad. I do limit how often I have potatoes but they are a nice treat and keep me on track. Flour tortillas was another key ingredient in my families diet that I didn’t want to give up completely. I discovered CarbBalance tortillas from Mission which have a lower carb count and taste no different than regular flour tortillas. These work great when I want a fajita, a quesadilla, or a wrap! Who can completely give up mac and cheese?! I couldn’t. I did some research and discovered Dreamfields Pasta. I have to say, I’m extremely picky and when I find alternative products, they have to not taste like an alternative. Dreamfields taste just like normal pasta. I have used their product to fix mac/cheese, spaghetti, lasagna, alfredo, and other pasta dishes. The only caveat with Dreamfields is that sometime it doesn’t agree with the digestive system. Just don’t eat to much of it before you know how you will react. Know the carb counts of some of your go to foods and make wise decisions. After surgery, I needed some carbs to get some energy and I found that eating 3 Ritz crackers helped me to get some carbs and satisfied my craving for something other than protein. I keep a list of the carb counts of some of my favorite indulgences and I plan accordingly. 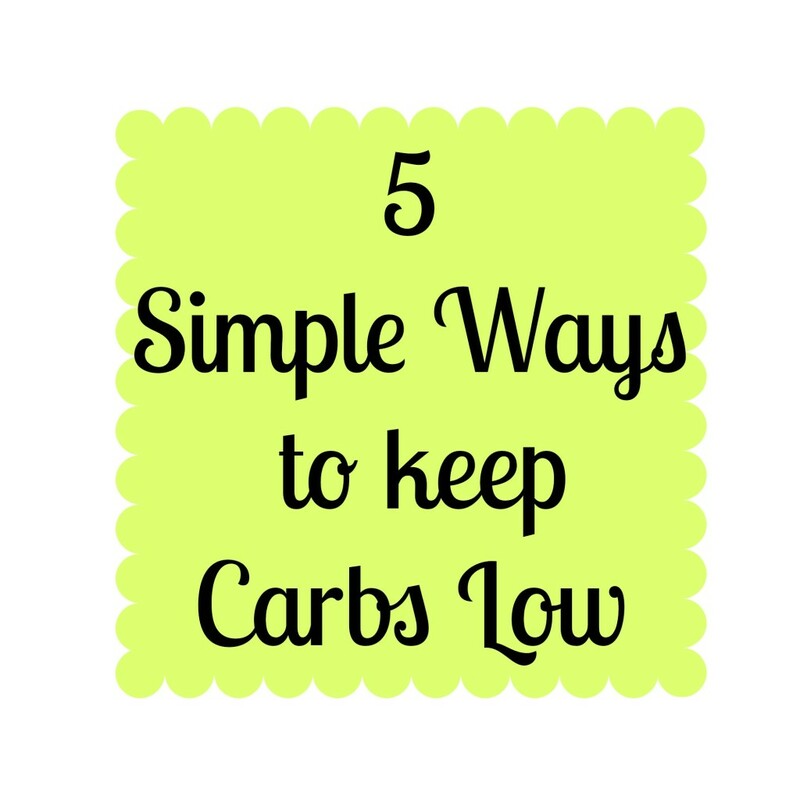 Living the low carb life is not always easy, but it doesn’t have to be super restrictive. I find that when I allow myself some leeway, I do MUCH better than if I follow a strict set of guidelines. I allow myself to have those indulgences from time to time and I compensate accordingly. If I have a really bad day, well, I’m only human and tomorrow is a new day! What are some of your favorite low carb substitutions that keep you on track? Connect with me on social media and let me know! Find me on Google + or Twitter!